With the New Year comes a new face at the Smith. The Stirling Smith Girl is the creation of artist Marie Louise Wrightson, done as homage to J G Mathieson’s Stirling Girl of 1928, which in turn honoured the Gibson Girl of the 1890s. The Stirling Smith Girl is a celebration of the rich collections of the Stirling Smith Art Gallery and Museum. Every week for the last ten years we have published an object or an image from the Smith’s collections in the Observer. If we continue this column for the next 140 years, we will not cover all of the riches in the Smith collections! The artist, a graduate of Duncan of Jordanstone School of Art, has depicted no less than 19 key objects from the Smith, all of which have featured in this column. 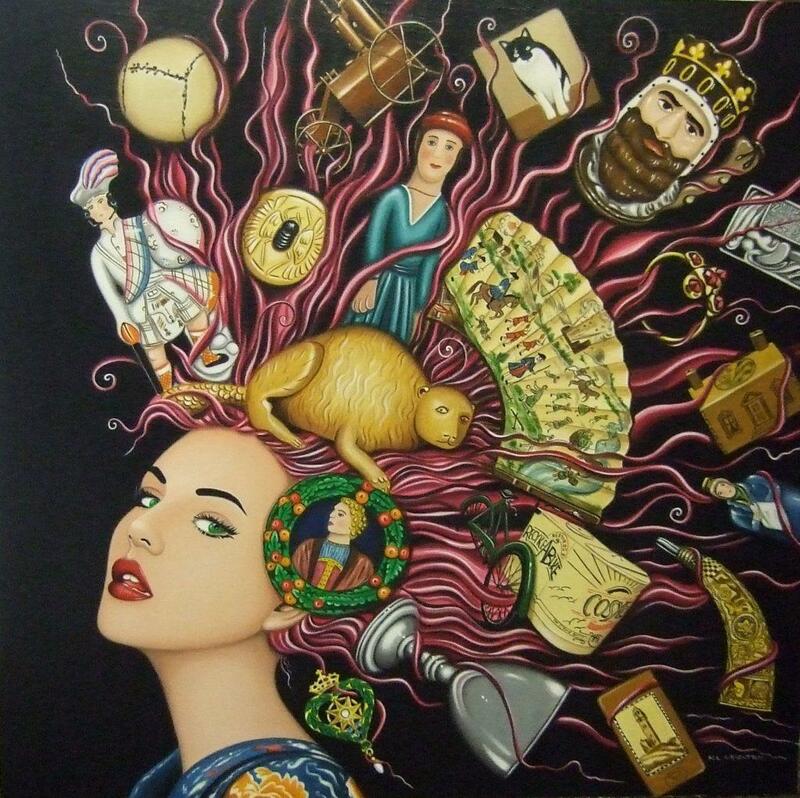 A Stirling Head, Wallace, Bruce, the ancient figure of Justice, a cup from the Neish pewter collection, a carved cow horn of 1705, the oldest football in the world, James Guthrie’s ring, the Cosy End Ice Cream Tricycle, Hugh Green’s Glasgow School of Art medal and even Oswald the Cat all feature in her headwear. The story of both Stirling and the Smith can be told from this one work of art. The commission was made possible with funding from the Common Good Fund of Stirling.